100% I'm organic. No added sugar, salt or water. No lumps or bits and nothing artificial. 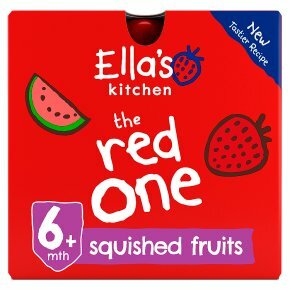 Just squished organic fruit for kids. I contain naturally occurring sugars.Hello, I'm 100% organic squished strawberries, raspberries, apple + bananas with a dash of lemon juice. I'm just a smoothie fruit snack with nothing else added. Who am I for? My ingredients are suitable from 6 months. I'm perfect to pop snuggly in a lunch box, picnic or straight into little mitts!